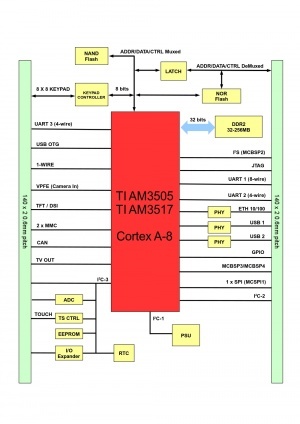 LIZARD is a ready-to-use CPU module family based on Texas Instruments AM35x (Sitara) ARM Cortex-A8 application processors. 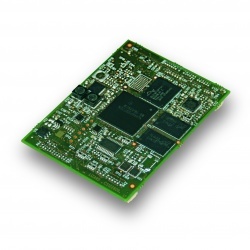 LIZARD is the mid-range product of DAVE Embedded Systems Esatta Line. It is designed to be easily included in customer's new and existing embedded systems thanks to the inexpensive stacking connectors and pinout compatibility with Zefeer CPU modules. For detailed information about LIZARD, please refer to the Lizard SOM article. Lizard Embedded Linux Kit (LELK) is the complete development tool to allow user to start evaluating Lizard SOM. This category collects all the pages specific to LIZARD modules and related carrier boards. This page was last modified on 11 November 2016, at 11:08.